print "Correct login" if @delicious.is_connected? print "Url inserted into delicious"
print "Url deleted from delicious"
We’ve had unexpecting interruptions in our Feevy updaters last weeks, and the error (which is still strange) came from inside God, it was unable to decide if a process was still running. If you’ve the same kind of problem, with your god logging showing « kill: 1: No such process« , then change the exists? method in /usr/local/lib/ruby/gems/1.8/gems/god-0.5.0/lib/god/system/process.rb file, gem path might not be the same on your system. 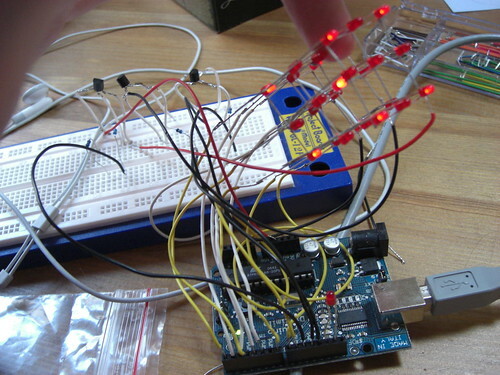 Freeduino.org is currently the best place to fetch articles and information about Arduino project. 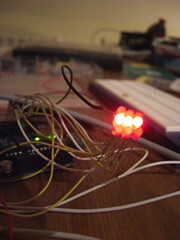 Tonight, I’ve made a simple script to move this Creative Commons index on Del.icio.us, hoping it would become a better place to fetch last Arduino information!